We’re all about encouraging reading, so we’ve made room for some sale racks. While we already think we have pretty great prices on our used books, you can find even bigger sales now on the sale racks where a variety of secondhand books are priced at $1.95 or less! 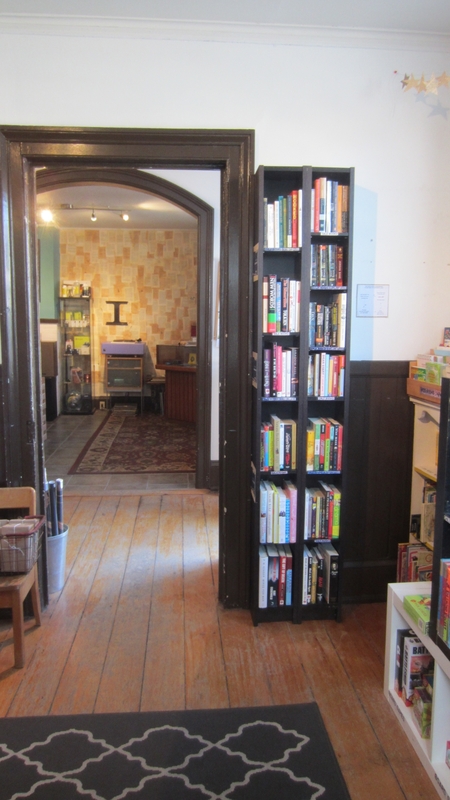 Want more reasons to shop at Backbeat for books? All secondhand kids’ books (middle grade and under) are priced at $1.95 or less. As noted above, our other secondhand books are priced competitively. Most of our paperbacks are $4.95 and most hardcovers are $5.95. They’re all hand selected too. Each one is in here for a reason. We’re offering tons of savings right now – selected new fiction and non-fictions books are 40% off and all new Y.A. books are 50% off. If we don’t have a new book in stock that you’re after, we offer a 20% discount off the retail price when we special order it in for you. Not sure what to read? Pick up any book with a Backbeat Recommended Read tag – they’re all ones we’ve read and enjoyed. We hope you do too! We don’t just carry the run-of-the-mill, same old stuff. Come in and discover some unique finds! Next Post New Bon Iver out today! The latest Pixies, Kishi Bashi, Angel Olsen and Preoccupations have all arrived too.